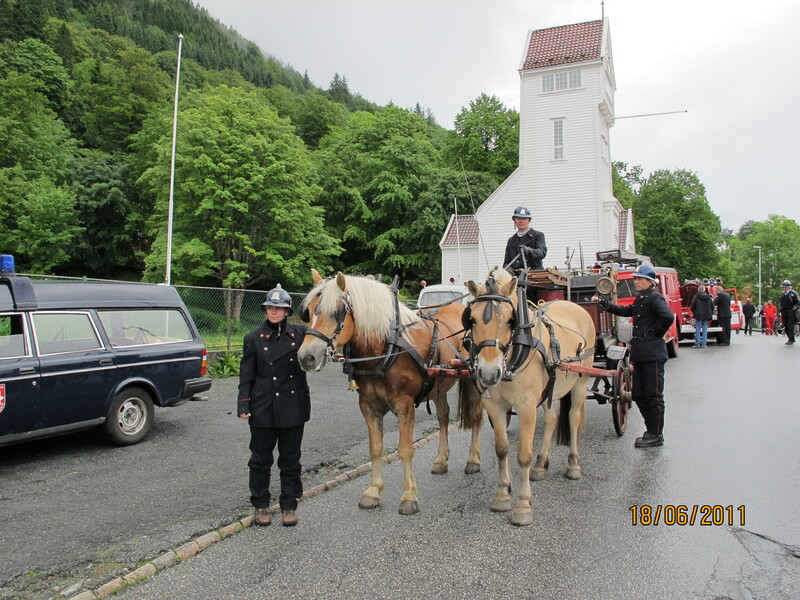 Pictured are the 2 horses Lenda & Willy, Rune, Kristoffer (his son), Marianne & Trond. 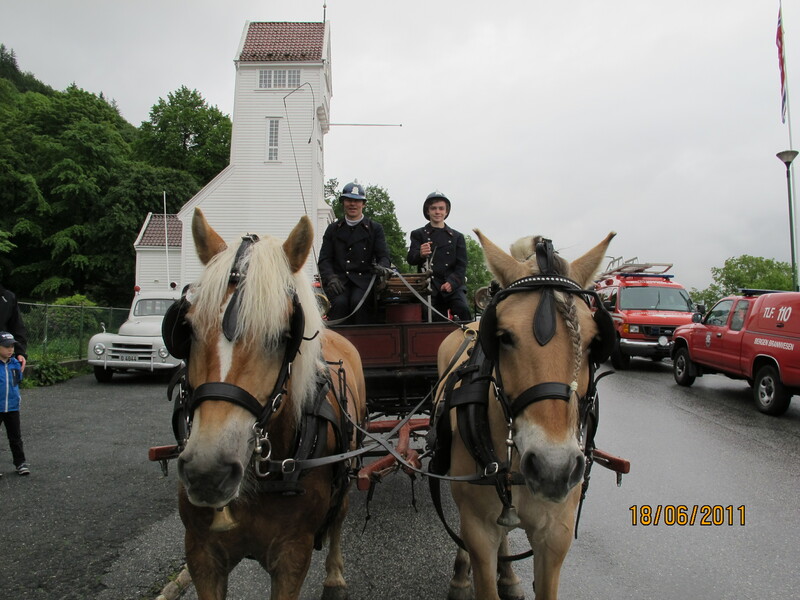 Rune is one of Anna’s long-standing Norwegian clients/students. 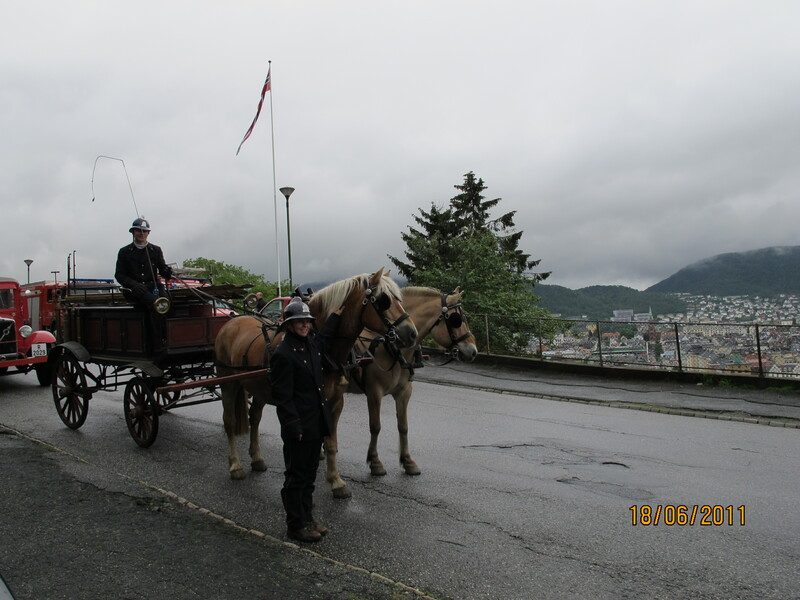 This was a BIG day out to Bergen where Lenda and Willy pulled the “old fashioned” fire engine for the parade – all went really well. Next postHave you like us on FaceBook yet?